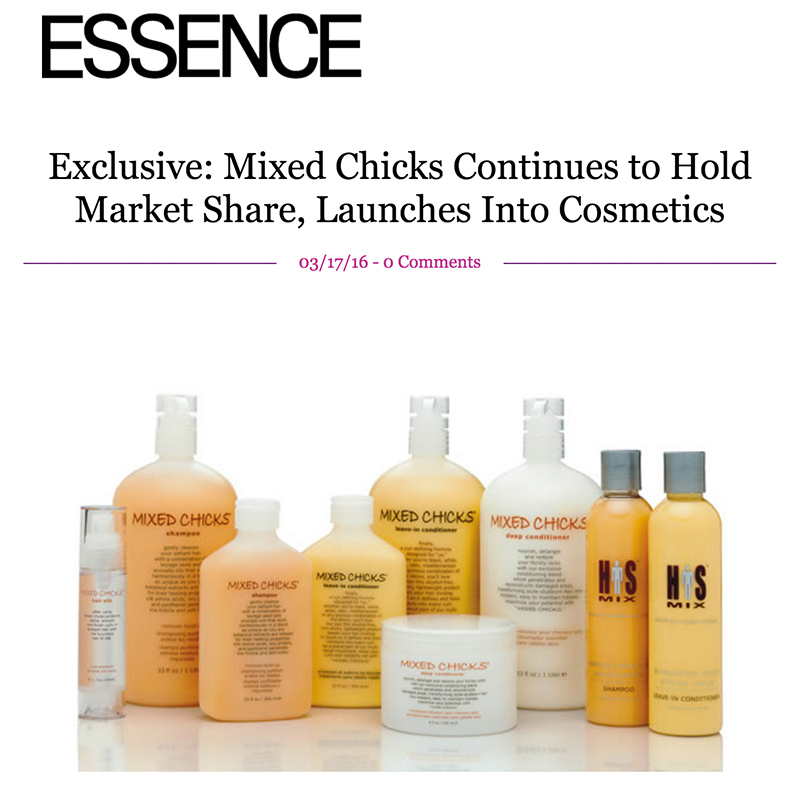 Congratulations to our Client Mixed Chicks for their feature in Essence! Mixed Chicks hair brand was founded in 2003 as one of the first beauty businesses to address the unique hair needs of the multi-ethnic community. Since then, they have expanded from a web-based business to being sold in over 4,000 retail outlets across the nation and are a celebrity favorite of such stars like Halle Berry and Jennifer Hudson. They have currently launched a new cosmetics line “In the Mix”, as well as a new line of styling products for Mixed Chicks who love to enhance their tresses by two strand twist, bantu knot and finger styling as well as products for ladies who love rocking their faux hawks, updo’s and sleek and slick styles! Check them out at mixedchicks.net.